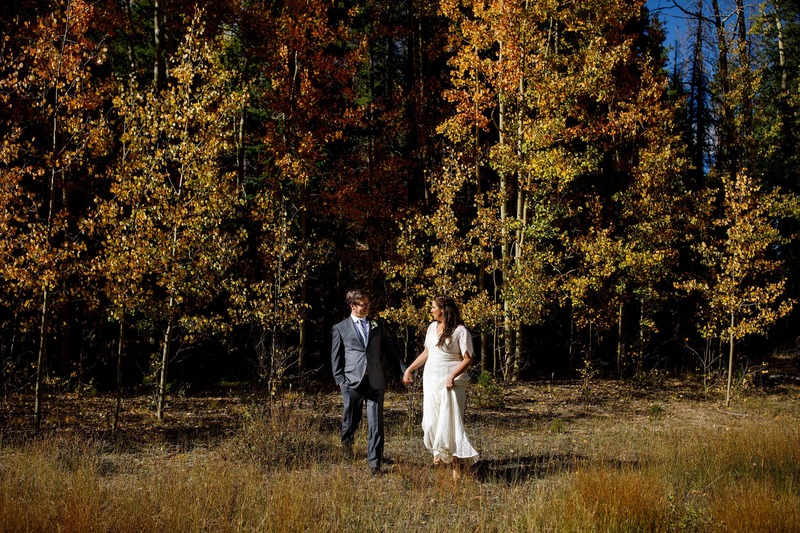 Blackstone Rivers Ranch is a gorgeous riverfront wedding venue in Idaho Springs, just 35 minutes from Denver. Everything about Blackstone Rivers Ranch is done well. Attention to detail is one of the sticking points you’ll remember when you visit this fairly new but rustic mountain venue. The outdoor ceremony space and sail cloth reception tent are ideal for your wedding up to 150 guests. The creekside lounge is an excellent place to enjoy a cocktail which will really wow your guests. They only host one event a day so they can accommodate the needs of your special day. There is even a private cabin onsite that is the perfect suite for your wedding night. If you’re looking for a boutique wedding venue in Idaho Springs, away from the masses, this is worth checking out. The venue isn't far from the city but still provides the opportunity for great mountain photos. Echo Lake and aspen groves are nearby up Mount Evans road. The lodge has beautiful finishes and lovely window light, providing the perfect getting ready spaces.